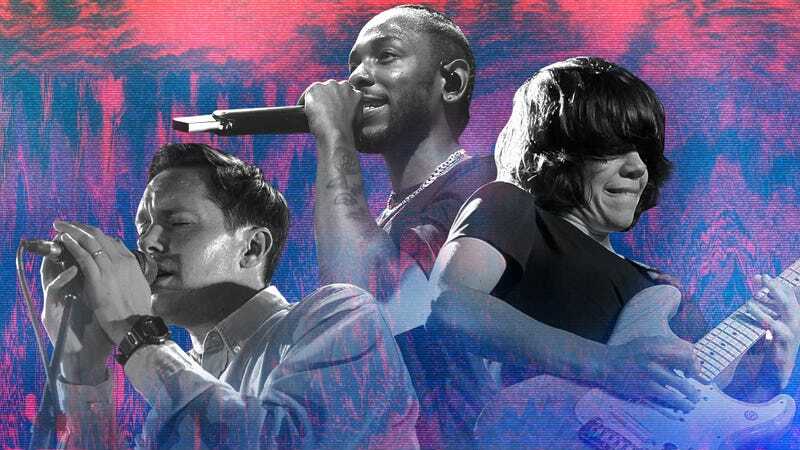 Mike Milosh of Rhye (Photo: Stefan Hoederath/Redferns via Getty Images), Kendrick Lamar (Photo: Kevin Mazur/Getty Images), and Marissa Paternoster of Screaming Females (Photo: Rick Kern/WireImage via Getty Images). Graphic: Natalie Peeples. The year in music was off to a promising start thanks to January’s many great new albums. And with planned releases from the likes of U.S. Girls, Rhye, and The Soft Moon—not to mention the hotly anticipated Kendrick Lamar-curated Black Panther soundtrack—February looks to continue that trend. Here are the new records we’re most excited to hear this month.